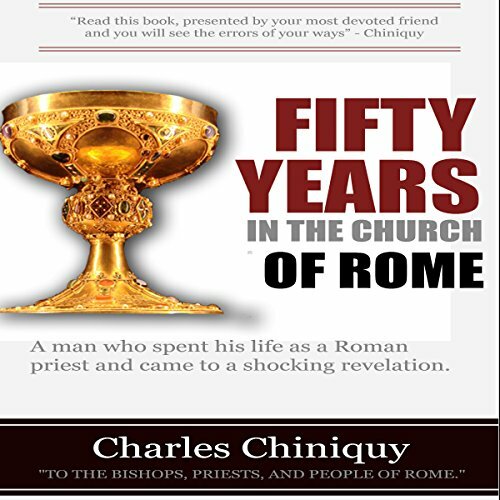 Showing results by author "Charles Chiniquy"
This is an excellent look at the religious system of the Catholic Church from the inside. Charles Chiniquy studied at the college of Nicolet in Canada; after graduation he entered the priesthood (at an early age) and continued therein until he was an old man. At the age of 49 he left the Roman church, taking his congregation with him, and became a Presbyterian minister. His encounters with the inner workings of the of the Roman church are enlightening and could come only from someone who was embedded in such a system for so many years. What an awesome expose... From the inside!